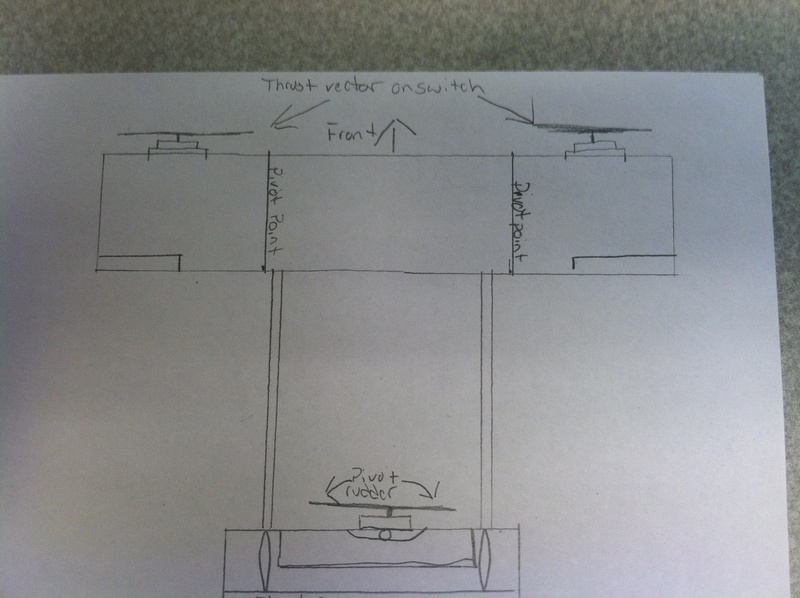 After playing with the idea for the stol contest I've come up with a design to try. 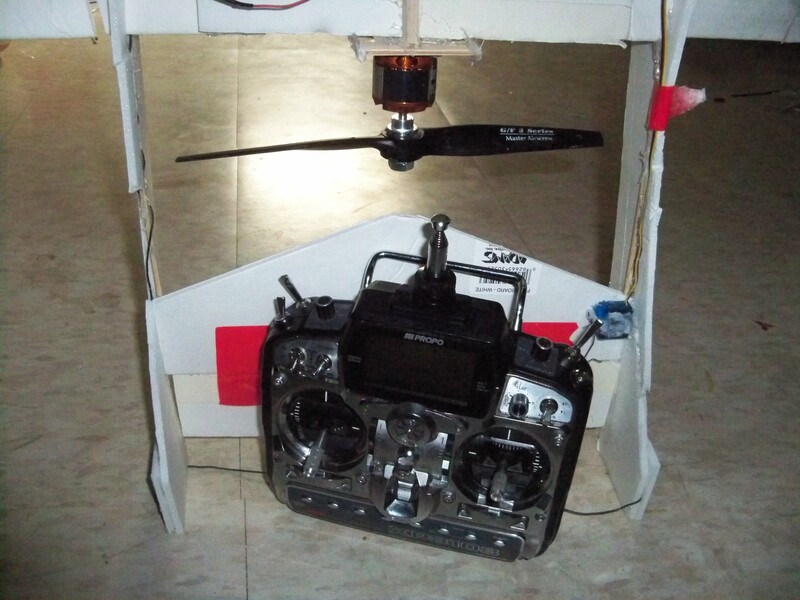 Not sure how it will work, if I will try to use a multi rotor board or just try it useing the programming on my radio. Here are two rough designs I have done. I think you will definitely want a controller for this. I'm not sure how you would control it when the motors are vertical, otherwise. That is a good question. I have NO idea. 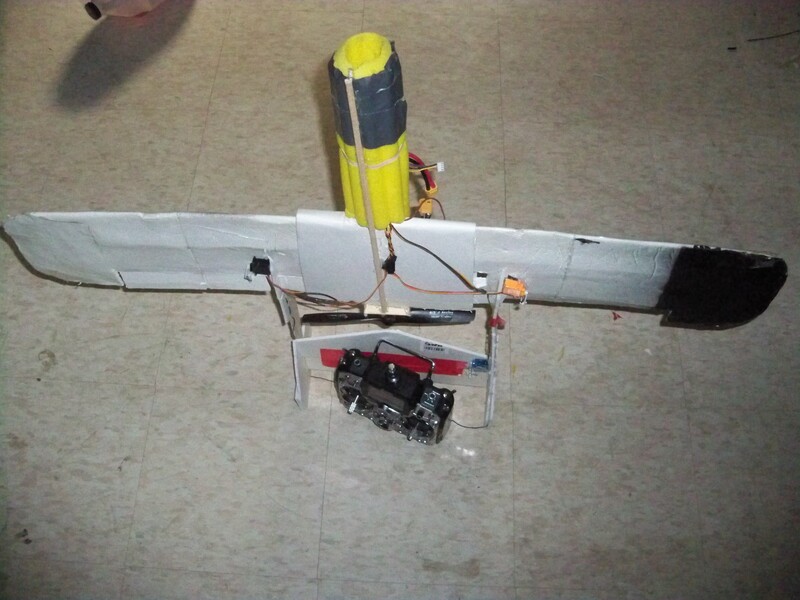 Check out the build log on rc groups of the guy with the Bixler quad. I tried searching for the link, but haven't found it, yet. I think he has some info in it. I'll post if up and message you when I find it. Here is what I can interpret. Hopefully others can fill in the rest. Monkey? Andre? Glad you found it! I had no luck! It's very similar to yours. A word to the wise, use CF tail booms. I don't see anything in that list that would allow for this to work. The main trouble I see, is when you rotate the motors forward, you lose your roll, and it will turn into yaw. As a tricopter, to roll left, the right motor speeds up, while the left one slows down. 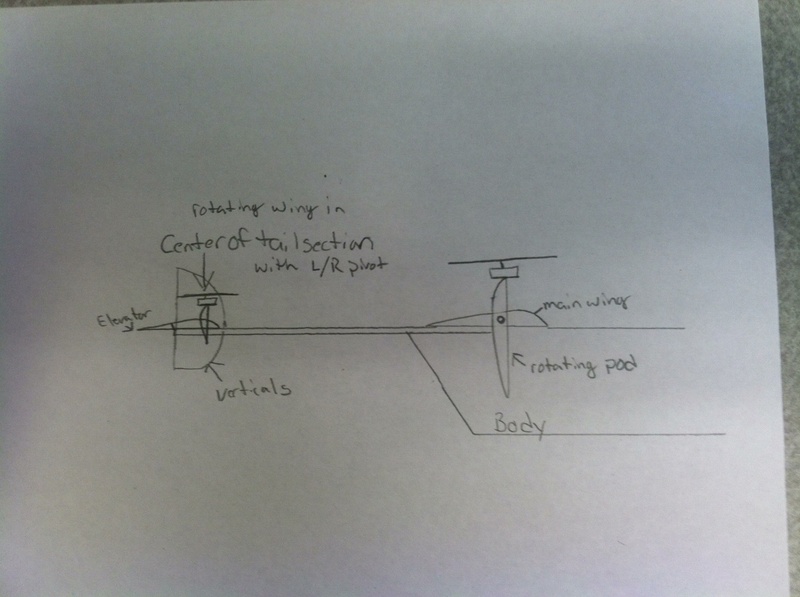 The problem comes when you transition to forward flight positions, and you try to apply right roll, the left motor speeds up, creating a yaw, effect, instead of roll.